The rent at Farnham Park Apartments ranges from $850 for a one bedroom to a $1,400 two bedroom. Apartments in this building are about 13% more expensive than the Port Arthur average. This apartment is in Port Arthur. Nearby parks include Babe Ruth Park, C Doornbos Park and Aurora Park. Farnham Park Apartments has a Walk Score of 48 out of 100. This location is a Car-Dependent neighborhood so most errands require a car. 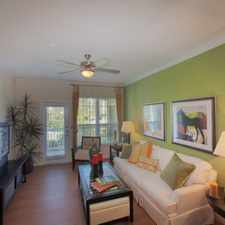 Farnham Park Apartments is a community that offers one, two and three bedroom apartment homes. At Farnham, we truly care about our residents and continually strive to create a serene environment suitable for all of our residents. We offer a resort style pool, covered parking, garages, 24-hour fitness center, business center, and 24-hour emergency maintenance. Explore how far you can travel by car, bus, bike and foot from Farnham Park Apartments. View all Port Arthur apartments on a map. Farnham Park Apartments is in the city of Port Arthur, TX. Port Arthur has an average Walk Score of 35 and has 53,818 residents. Normandy Apartments is the best place to live in Port Arthur!